I was born and raised in Rio de Janeiro. I was in Rio for World Youth Day and the Confederations Cup in 2013, the World Cup in 2014, the Olympics in 2016, and innumerous Carnivals. I went to the beaches, the parks, and the Lagoon and had no problem calling my city by its famous nickname: Marvelous City. But I saw the other side too, the chaos and the violence that have plagued Rio for as long as I can remember. I have had my phone stolen in a mugging, as have most of my friends. My family has had multiple cars stolen throughout the years. Hearing gunshots is fairly common in Rio de Janeiro. In a more extreme case, I was once riding in an Uber that was targeted by bullets. In recent years, the government has tried to ameliorate the situation, notably implementing the Pacifying Police Units (Unidades de Polícia Pacificadora, or UPPs in Portuguese). Violence fell significantly, with the homicide rate reaching its lowest level in 25 years in 2015. However, the success did not last long: police in Rio have been accused of human rights abuses and extrajudicial killings since 2013, our former mayor is being investigated for taking bribes in connection to the Olympics, and our former state governor is currently in jail for corruption, money laundering and leading a criminal organization. Due to these factors in place, public opinion and faith in the UPPs, and public safety policies more generally, have all but disappeared. In the eyes of many onlookers, we are not only a bankrupt city, we are a broken one, in need of saving. Fast forward to 2018 and we find a city that has received two federal bail-outs and has cut its security budget in 30%. The homicide rate has been rising in this time, and favela neighborhoods that were seemingly pacified by UPPs have fallen back into chaos, including the largest one in the country, Rocinha. The 2018 Carnival festivities were marked by dire scenes of mass muggings, gang shootouts, and armed robberies. In response to the highly publicized violent scenes, President Michel Temer declared a federal intervention in the state of Rio. This intervention effectively puts the military in charge of public safety in Rio, taking over the role of the police. It is the first time a president declares such a measure since the end of the military dictatorship in the 1980s. While most cariocas – citizens of the city – agree that something must be done to improve safety, this solution is highly controversial, and human rights activists and the Brazilian media have denounced instances in which the army indiscriminately photographed residents and searched schoolchildren’s backpacks. The situation has escalated. On March 14, a Rio city councillor, Marielle Franco, was murdered in an apparent targeted killing. She was a black woman, from one of the city’s poorest areas, however, received the fifth-highest vote in the 2016 elections. She was also known for being outspoken about police brutality, a fierce defender of human rights, and an critic of the federal intervention. Though her death led to rallies across Brazil and the world, not everyone shared in the mourning. Facebook pages known for their right-wing ideology seemed to blame Franco, implying that she had been killed because she "defended criminals". Jair Bolsonaro, the far-right candidate, was the only presidential hopeful not to comment on the incident. According to an assistant, his declaration would be too polemic to share. The situation in my city is worrying. Crime and violence in Rio are not new, but they and the federal intervention are now in the spotlight. The United Nations High Commissioner for Human Rights has recently expressed worry that the measure could lead to even further human rights violations. This worry is intensified by the commander of the army’s declaration that the military needs a guarantee that there will be no Truth Commission to investigate them afterwards, referring to the body established by our previous president, Dilma Rousseff, to look into human rights abuses during the 1964-1985 military dictatorship. Now, residents of Rio are discussing the situation and the federal intervention, and it is very important we do. When the state has gone bankrupt and important former leaders are in jail, it is very easy to lose faith in the political establishment and become divided along extreme ideological lines. In a country responsible for 10% of all the homicides in the world, having hope that a solution can be found when many have failed is not. The UPPs were promising but failed, and the jury is still out on the federal intervention: it is undoubtedly controversial, and even though three-quarters of cariocas support it, it will not magically solve all the underlying issues, such as the corruption and state bankruptcy that ultimately broke the UPPs before it. It is about time we stop dividing ourselves and start building bridges. This problem is not localized, it is widespread, and we would save time and, more importantly, lives, if we were more open to learning from each other. 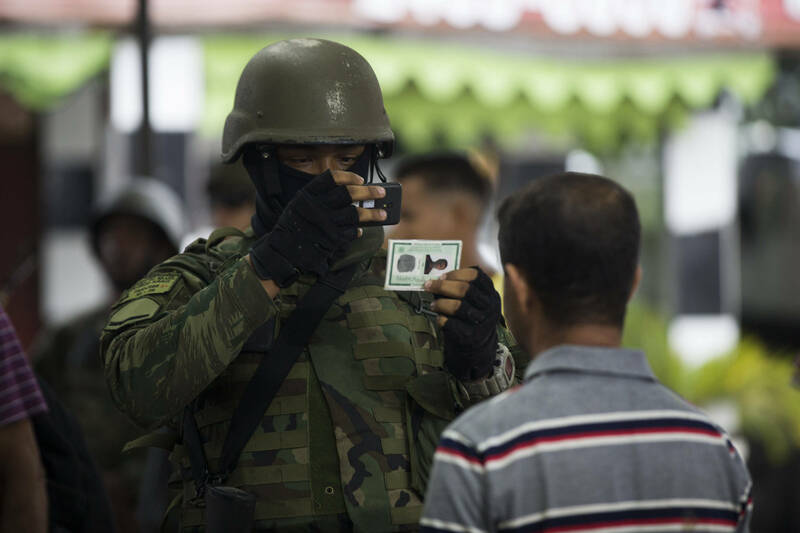 Brazil could look to Mexico, for example, to see that involving the military in fighting drug gangs might not be the best approach, though some intellectuals point out that the Brazilian military has experience with UN Peace Missions. Moreover, organized crime is transnational, so the governmental response must also be coordinated between the different levels, between cities, states, and countries, otherwise spillover effects will be ever present. Until then, the issue will not be truly solved, only dislocated from one place to another, wreaking havoc in its path.